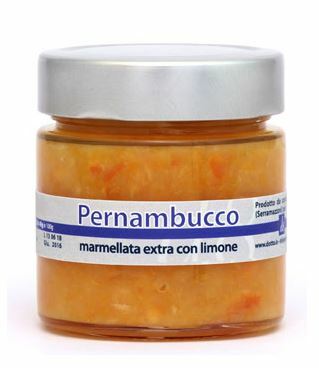 This delicious perfumed jam is made with the finest citrus of this ancient Italian variety, the Pernambucco, which is still cultivated nowadays in Liguria. The special manner in which this jam is prepared, cooking it at no more than 80 c, allows it to keep the true aroma of this special fruit. The texture is seductive and soft, and the scent very intense. Will accompany optimally your bread and butter, cheeses and desserts. Shipped worldwide from Italy, seasonal products wholesale enquiries only.